Carrington Business Park is a not for profit business based on the outskirts of Manchester offer a range of facilities including office space to rent. Only 10 minutes from Manchester International Airport. is Manchester,s premier business community. New, expanding and well established all businesses welcome. 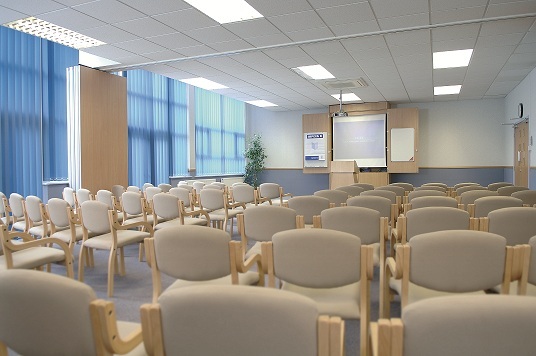 Contact us for more details on our conference facilities, Training rooms, various offices sizes and workshops to rent. Offices from one person business’ to 5,000sq.ft. Great location near North West’s motorway network, Manchester International airport and Manchester City centre. On site security with 24/7 access. Plenty of free car park space. To discuss your business requirements, find out more about Carrington Business Park or to arrange a viewing appointment call Janet Smith on 0161 776 4000 or email janet.smith@cbpl.co.uk. Suitable for manufacturers, storage, laboratory, technology and development. 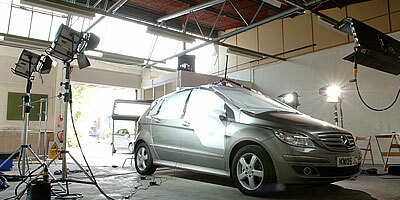 Modern, functional, stylish workshops and studios. Business rates, reception and mail services. Call Janet Smith on 0161 776 4000 or email her at janet.smith@cbpl.co.uk for more information or to arrange a viewing appointment. 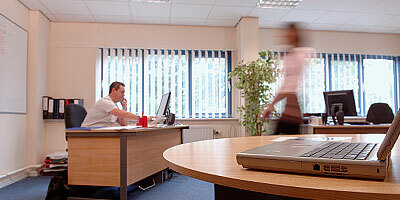 A stylish, professional environment – superb facilities with the emphasis on modern comfort. Flexibile conference suites, training rooms and facilities. Dedicated Conference Co-ordinators will ensure your meeting or conference is a success. Cabaret, Theatre or U-Shape room layouts. Board room for upto 8 people. A training facility for upto 60 people. Theatre style format rooms with the capability to seat 100 delegates. Call Doreen Spencer on 0161 776 4000 or email her at doreen.spencer@cbpl.co.uk for more information or to arrange a viewing appointment. 5 minutes from M60, 10 minutes from M6, 15 minutes from the airport and 5 minutes from Trafford Park and the Trafford Centre. Leave the M60 at Junction 8. Follow the signs to CARRINGTON and LYMM on the A6144 (M). Go straight through 2 sets of traffic lights for 2.4 miles. Carrington Business Park is after 0.7 miles on your left after a pedestrian crossing. Carrington Business Park is served by two bus stops which are both less than 250 yards from the front gate. Carrington Business Park Ltd, near Manchester, is dedicated to helping businesses and the people who run them grow and succeed. We listen to your needs, we speak your language and we understand your challenges. We’re there for you, helping you reach your goals now and in the future. The park is home to more than 300 units and its clients include 150 local, national and international companies, who between them employ around 1000 people. The park has everything required by today’s business on-site from secretarial and office support services to conference, meeting facilities and ample free car parking. And an understanding and dedicated team of people who go further to help you succeed. Free parking – over 500 free car parking spaces. The Carrington Lounge – relax in the pleasant surroundings and enjoy our fine coffees, fabulous food or wide selection of cakes and snacks! A full catering service for our conference/training rooms. Royal Mail deliveries are collected, sorted and distributed from our mail room. Each customer is designated their own Secure Mail box with 24 hour access. Photocopying, facsimile, laminating and binding services at nominal charges. Careful maintenance of common areas, toilet facilities and external grounds. Weekly waste and recycling collections. Space to relax – numerous places within the Park’s grounds to take a break.